This time the stakes are lower. 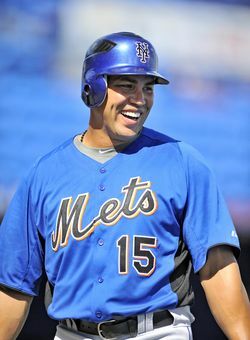 When Carlos Beltran hit free agency after the 2004 season, he was in his prime, on the verge of a huge free agent deal. Beltran responded to the pressure with 38 regular season homers and eight more in the playoffs, tying Barry Bonds' postseason record and setting himself up for his current $119MM deal. Short of a Bonds-esque late-career breakthrough, Beltran won't come close to approaching his current contract when he hits free agency after the coming season. The market for 34-year-old corner outfielders with knee problems is not strong unless they're coming off of big seasons. 2010 was not a big year for Beltran, who underwent a right knee operation in January and didn't return to the majors until July. He seemed healthy in September, when he posted a .967 OPS, but the sample size is small, so we can't be confident that Beltran can hit the way he did earlier in his career. Despite his injuries, Beltran has hit .295/.384/.470 with 17 home runs in his last 612 plate appearances. If he stays healthy in 2011 and posts numbers like that, he and agent Scott Boras could ask for a multiyear deal next winter. Boras says Beltran can play center field or right, though clubs could be reluctant to put a 34-year-old with questionable knees in center, so it's not clear that Beltran's history as a Gold Glove center fielder will help him on the market. If Beltran struggles again, he'll be in line for a one-year, incentive-based contract, which is nothing compared to his current deal. He can do better than a make-good contract if he puts together a big year in 2011, but it's hardly the same as in 2004, when his team's pennant hopes were on the line and the potential for a mega-deal existed. Any plans to do a make it or break it year on Alex Gordon? I know he isn’t approaching FA, but would be interested to see. you should do a “make or break” for the mets as a franchise. Wow! Itdoesn’t take long for Beltran to get over the hill. It just seems like yesterday that he running into the center-field wall in KC stealing home runs.